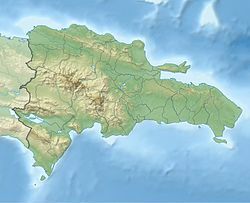 Juan Santiago is a Dominican municipality in the Elías Piña Province. Juan Santiago was elevated to the category of municipal district of Comendador by the law 916 of 12 August 1978. Then it was elevated to the category of municipality. The main economic activity of the municipality is agriculture. This page was last edited on 28 April 2017, at 18:32 (UTC).